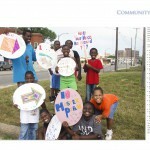 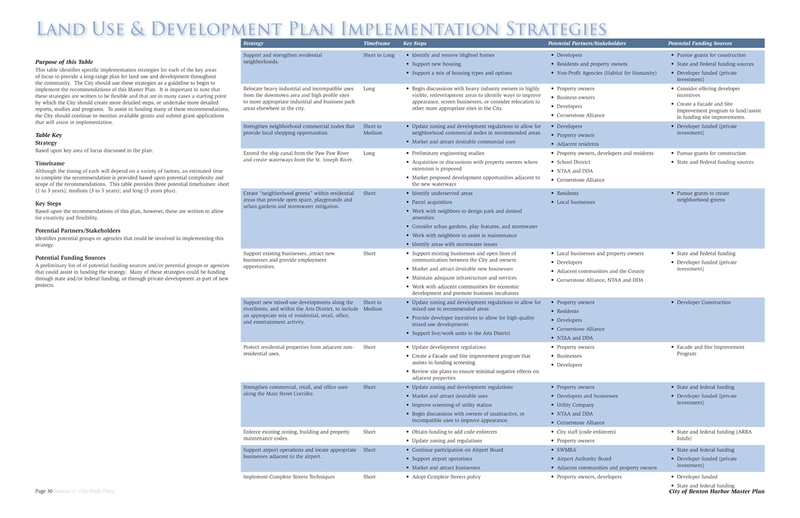 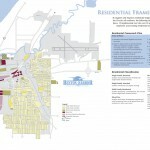 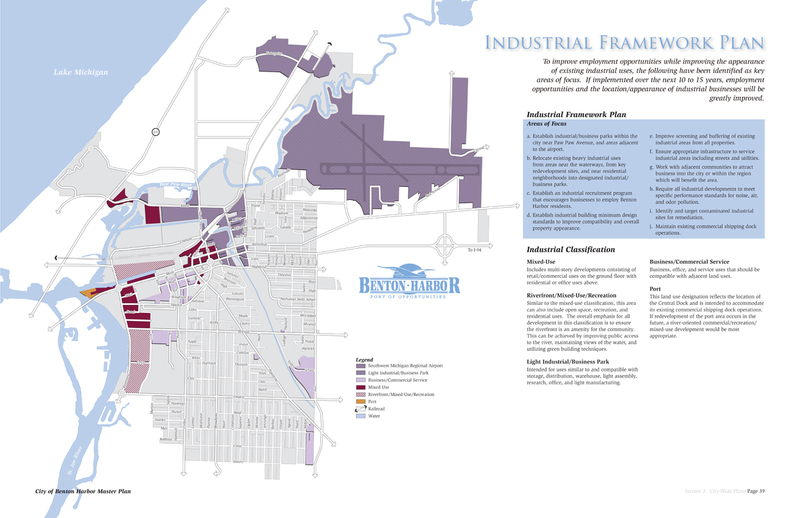 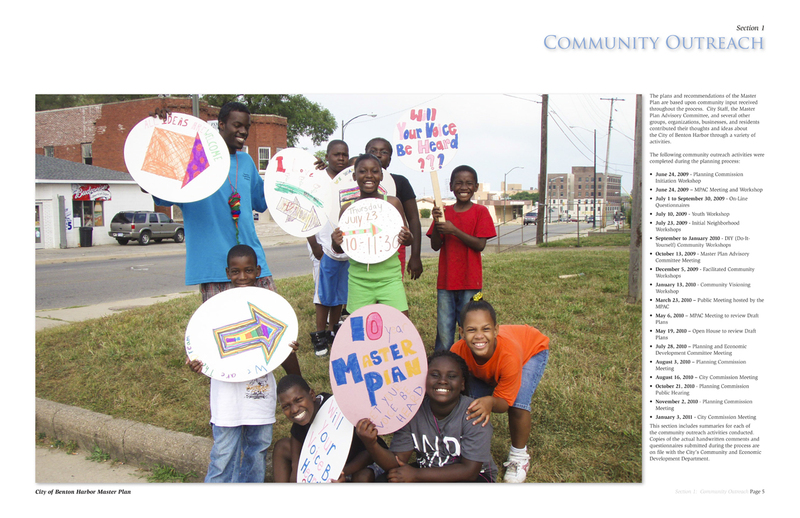 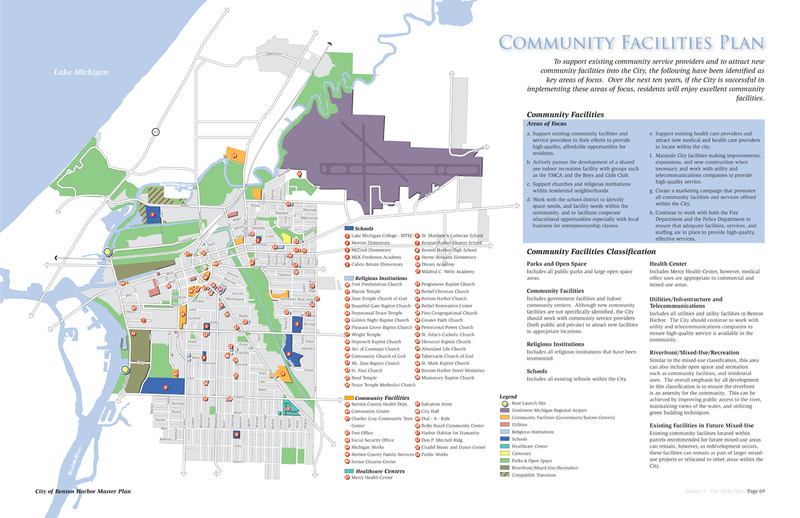 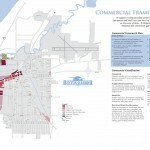 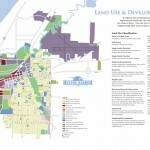 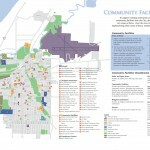 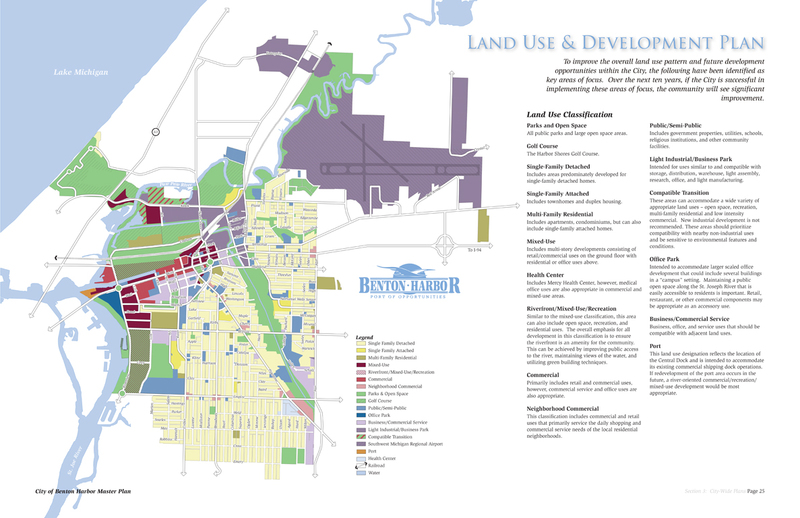 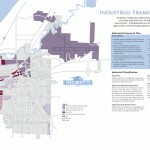 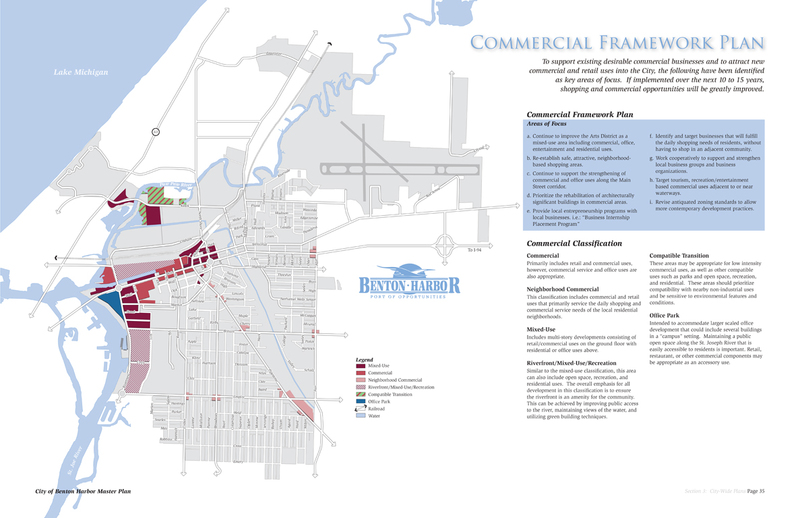 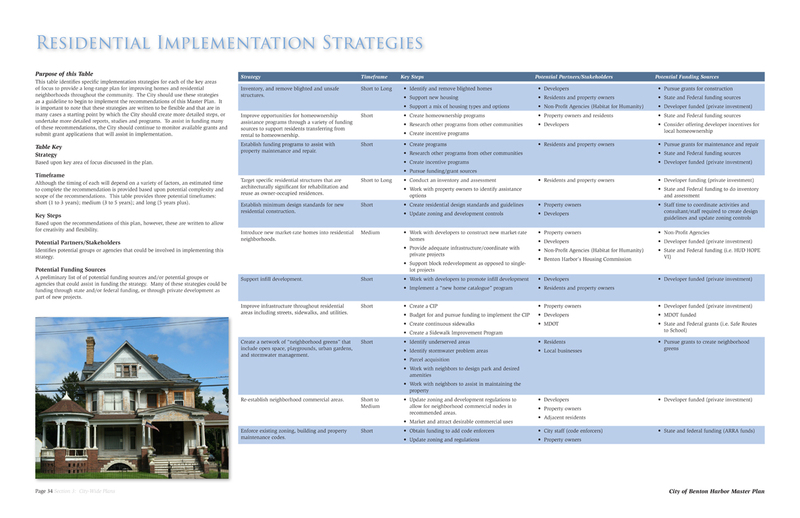 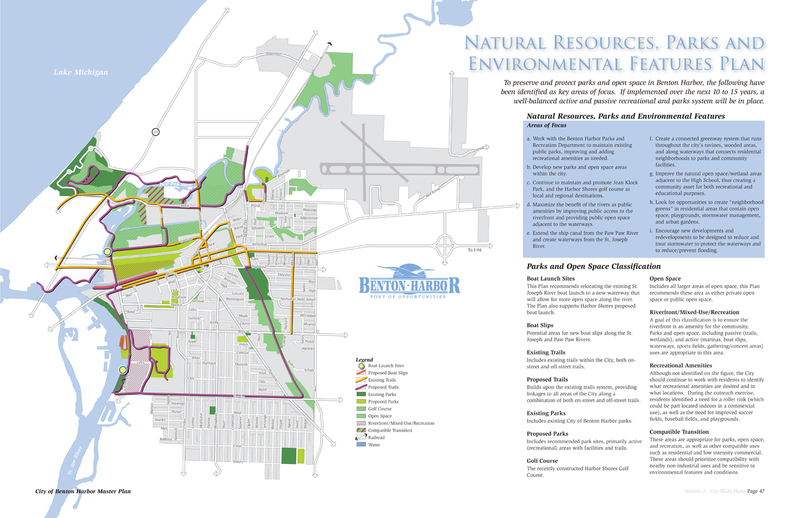 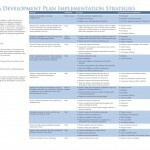 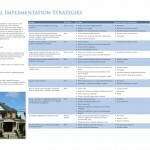 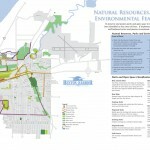 Built upon a foundation of extensive community outreach and engagement, Houseal Lavigne Associates developed the Benton Harbor Master Plan with a comprehensive set of goals to become a more sustainable city. 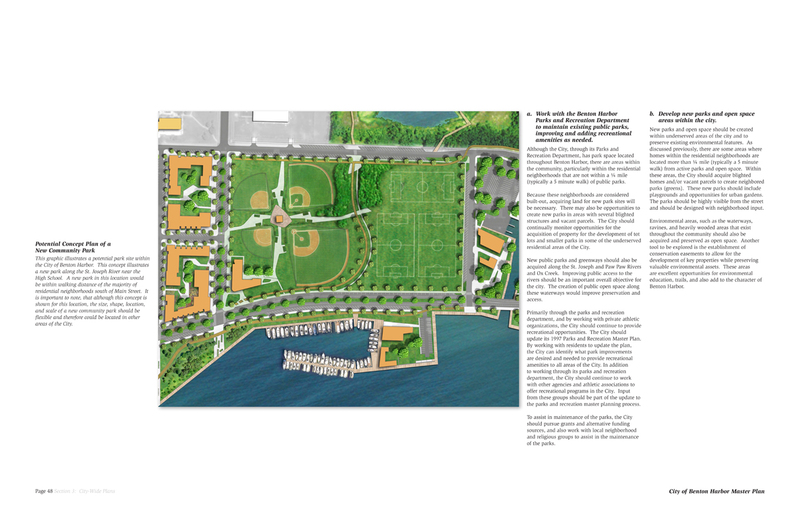 A key component of the Master Plan is a redevelopment concept created by the project team for a 170-acre waterfront area at the center of the community. 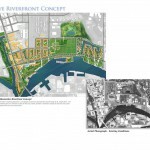 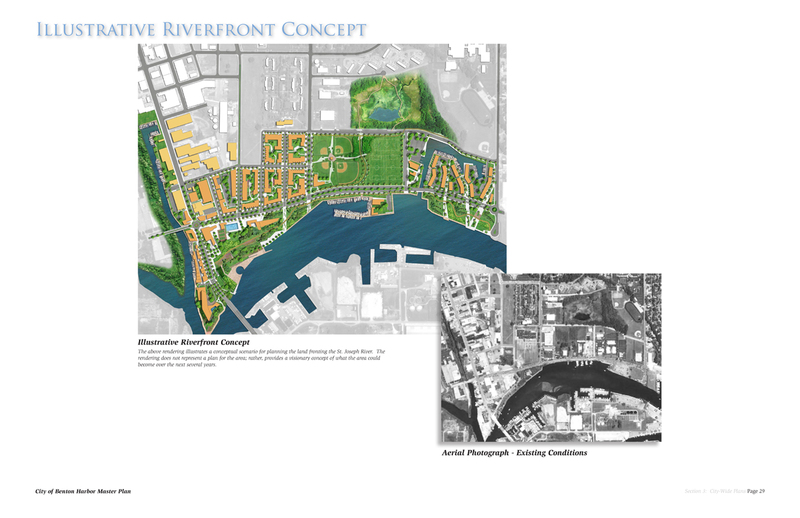 The principles driving this concept were a need to reclaim the riverfront environmentally and increase the productive utilization of the area for urban renewal and economic development, residential and mixed use development, and passive and active recreation and civic space. 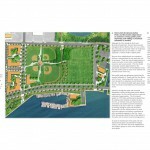 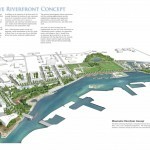 The project has served as a catalyst for the redevelopment of other nearby areas and the intertwining of mixed use districts, open space, and residential connectivity opens the waterfront for use by the entire community in an environmentally friendly way. 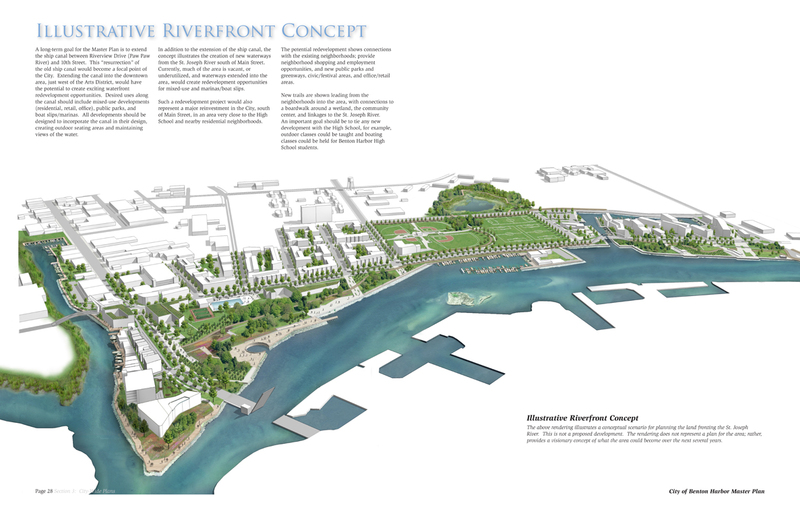 Connecting ecologically rich water bodies and adding community awareness and stewardship exposure to these amenities encourages a sense of civic pride and ownership for the overall quality of the city.